Thinking of opening an account with Unibet Australia, one of Australia’s biggest online betting agencies? You will be glad to know that you have come to the right place. Here at Aussiebet you will find all the information you need in our impartial and in depth Unibet Australia review. 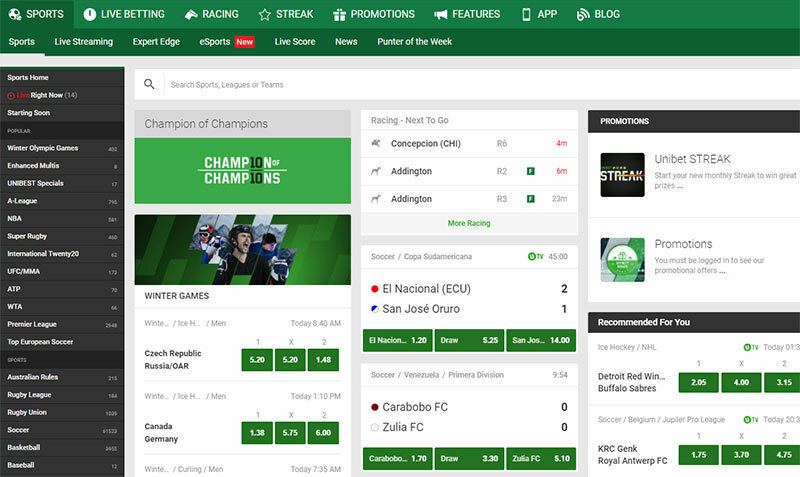 We look at everything Unibet Australia has to offer potential customers, including range and depth of markets/sports, quality of odds and a whole lot more. We put Unibet Australia under the microscope, and to find out what we discovered just read below. Very extensive domestic sports betting service. In depth statistics on all of Australia’s favourite sports. Unibet Australia is part of Malta based gambling giant Kindred Group plc, a company that began life as Unibet. Formed in Denmark by Anders Strom back in 1997, Unibet quickly grew into one of Europe’s leading online bookies. It now operates in over 10 countries, and they started in Australia by acquiring Betchoice in 2012. In 2015 Betchoice was overhauled and rebranded as Unibet Australia, and they are licensed in the Northern Territory. The current CEO of Kindred Group plc is Henrik Tjarnstrom and the company is listed on the Nordic Stock Exchange. They have won numerous awards down through the years, including for their approach toward responsible gambling. What really makes Unibet Australia stand out from the crowd is the massive variety of markets available across a huge amount of sports. Their coverage of domestic sports is second to none and includes AFL, A-League, NRL, Cricket, Golf and Tennis. Live streaming is available on many events, even when cross-compared with what other bookies have to offer. You can also bet on horse racing and e sports with Unibet Australia and best of all, their odds are extremely competitive. Unique, fast and modern Website. The primary way in which the majority of bookmakers try to attract new customers is by offering a hefty sign-up bonus. Unibet Australia delivers in this department! They will match the value of your first deposit (must be at least $20) up to a maximum bonus of $200 in the form of bonus bets. There are some wagering requirements before winnings can be withdrawn and your bonus can be broken down into separate wagers. Find out how to claim your Unibet Australia sign up bonus below. Click on the “Play” button to go to the Unibet Australia website and open an account. Make your first deposit (minimum of $20). You can use your bonus bets on racing or any other qualifying sporting event (min odds 1.4). Stake is included in any winnings. * Other terms and conditions apply see Unibet Australia site for details. Although a generous sign-up bonus might convince people to sign up with a betting company, regular promotions help to retain those new customers. Unibet Australia are one of the best around when it comes to rewarding their members. These include free competitions with huge prizes and money back specials on a wide variety of sports. Much of the promotions are based on what's trending at the moment, which makes a lot of sense. Whether it's the Winter Olympics, or the Champions League is at the knockout phase, Unibet Australia shows appreciation to its customers by offering decent bonus offers with the “limited” tag on them. Punters into racing can also look forward to various promotions that add a bit of extra on top of the expected betting experience. Again, because these promotions are available within a specific time window, it's best if you check out the promotions page yourself and get a better, more accurate overview of what's on the menu at this particular moment. Another excellent tool that punters can avail of when they join Unibet Australia is ‘Expert Edge’. Here you will find all the stats you need to help you turn a profit on sports betting. All the biggest sports are covered, including Aussie Rules, Soccer, Cricket, Rugby, Tennis and Basketball. Just click on ‘Features’, then click on ‘Expert Edge’ and choose your sport. You will find all the most important facts and figures on upcoming fixtures. The predictor tool allows you to input what you believe to be the most important factors in determining the outcome of a match. The predictor will then come up with a recommended bet. Expert Edge is another reason why Unibet Australia are considered one of the best around. 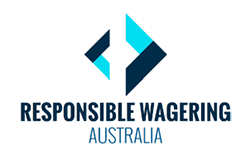 Unfortunately, Australian Law means that you cannot place in running bets online. 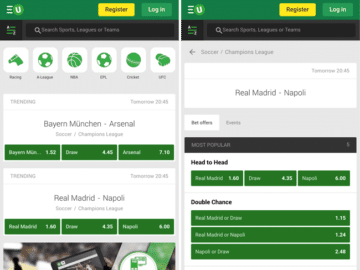 However, Unibet Australia display live in-play odds on their desktop and mobile apps, and you can place an in-play wager by picking up the phone. To find out how to bet in play with Unibet Australia check out our guide below. Open a Unibet Australia account by clicking here. Click on the ‘Live Betting’ button. Find your odds and call 13 78 68. Unibet Australia Watch And Bet LIVE! When it comes to streaming live sport, Unibet Australia is one of the best bookmakers in Australia. No other bookie comes close to rivalling the wide range of sports they stream live. You can watch and bet live on lots of the biggest sporting events every year. These include soccer (La Liga, Serie A, Eredivisie, English C/ship), tennis (Sel. Grand Slams, ATP/WTA tours, ITF, Challenger Tours), basketball (NBA, NBL, WNBA), NHL and selected darts and snooker tournaments. All you need to do is open an account with Unibet Australia by clicking here. You need to have $1 or more in your account OR have placed a bet in the previous 24 hours. Visit the ‘Sports’ section of the desktop site/mobile app and click on ‘Live Streaming’. Click on the event you want to watch and then just sit back, relax and enjoy. 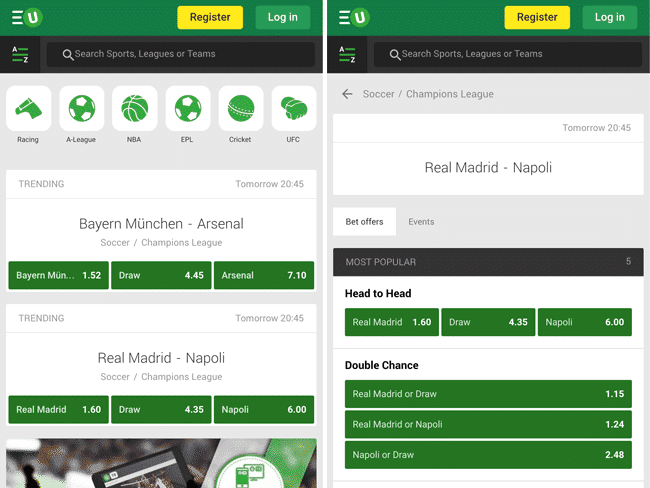 Unibet doesn’t just have a desktop site, it also has one of the best mobile offerings on the market. No matter what your device you can bet on the move with Unibet Australia and their App is packed with cool features. You can access the extensive range of markets on offer from Unibet, as well as the very generous odds. Best of all, you can stream live sport on the move too. The App for iPhones/iPads/iPod Touches can be downloaded free from the App Store. Split view is available on iPads and IOS 8.1 or later is required. Android users can download the app straight from the Unibet Australia site via the link provided. If you use a different type of device, just visit Unibet Australia to use the slick Web App. One area where Unibet Australia are sadly lacking is their cash out facility. Most Aussie bookies have embraced this useful tool but Unibet have been slow on the uptake. At the time of writing, cash out is only available for pre-match and live soccer singles and multis and on outright tennis bets. The fact that only those two sports are represented is pretty disappointing, but Unibet Australia claim that new sports will be added soon. On their site they say that “We are working hard and fast to roll this out to the rest of our markets. Keep an eye out for further updates!” We will update this Unibet Australia review as soon as any new sports are added. Widely known around the world as The Sport Of Kings, horse racing is an important part of Australian culture. Not many sporting events have the power to stop a nation, but The Melbourne Cup is a race that does just that. You can bet on the country’s favourite race with Unibet Australia, as well as a lot more domestic and international horse racing action. All the usual betting methods are available, including win, place, each way as well as Quinella, Exacta, Trifecta and Quadrellas. Fixed, Top Fluc, Best Tote+SP and Tote+5/10% odds are available for win betting. For place betting Fixed, Best Tote and Tote+5%/10% odds are available. Not only can you check out all the sporting stats with Expert Edge, you can find out what the experts think on the Unibet Australia blog. Some of the shrewdest minds in the business share their thoughts, and a whole host of sports are covered. Whether it is horse racing, AFL, rugby, cricket or tennis, you can find the best and latest tips on the Unibet Australia Blog. Instant Deposit Methods: Credit/Debit Card, PayPal, POLi. When you open an account with a betting company you should always make sure to check what banking facilities are available. Unibet Australia lacks the options provided by some of their main industry rivals. You can deposit instantly by using your credit/debit card, PayPal or POLI. Unfortunately, Unibet Australia does not support moneybooker or Skrill. Non-instant deposit/withdrawal methods include BPAY and bank transfer. Before you can withdraw funds you need to verify your account and you can find out how below. After signing up Unibet attempt to electronically verify your personal details against official databases. If this process fails, you will need to provide documents. Upload the documents via the ‘Verify Your Account Page’. Credit cards may have to be verified too as an added security measure. Max pay-out: $100k on ‘Best Tote Win’ wagers/$25k ‘Best Tote Place’. Max pay-out: $100k on ‘Middle Tote Win’/$25k ‘Middle Tote Place’. Max pay-out: $100k on Tote+10% and Tote+5% Win/ $25k Tote+10% and Tote+5% Place. Max pay-out: $10k on Top Fluc win wagers/$5k Top Fluc Place. Max pay-out: ‘Place Card’ wager is $30k per meeting per day. Max pay-out: $300k on football (FIFA, UEFA, Major European Leagues and Cups). Max pay-out: $100k on football (Domestic and all other leagues). Max pay-out $75k on Futsal/Beach Football. Max pay-out: $75k NBA, Euroleague, Olympic Basketball. Max pay-out: $150k NHL, Finnish, Swedish and International Ice Hockey. Max pay-out: $150k Max pay-out all IHF sanctioned Handball events. Max pay-out: $150k FIVB Volleyball tournaments/$35k all other Volleyball. Max pay-out: $150k Grand Slam Tennis/$75k ATP/WTA Tennis/$15k all other Tennis. Max pay-out: $75K all NFL/MLB wagers. Max pay-out: $150k on AFL/$35k on other Aussie Rules. Max pay-out: $150k International or major domestic cricket leagues/$75k all other Cricket. Max pay-out: $150k Major Golf/Darts/Rugby/Snooker. Max pay-out: $75k Motor Sports (F1, Moto GP). $35k Other Motor Sports. Max pay-out: $15k Novelty/Entertainment Wagers. *Other limits may apply please check Unibet Australia Terms and Conditions. Here at Aussiebet we think the customer should always come first, and if help is needed it should be easy to access. Unibet Australia pride themselves on providing customer service of the highest quality. There are a number of ways in which you can get in touch with Unibet Australia and we have provided the relevant contact details below. Phone and live chat lines are open from 9am to 2.30am (AEST). Telephone: 13 78 68 (Australia) or +61 (8)89433444. (International). Email: [email protected] (8 hours response time). Post: Unibet Corporation, Fannie Bay Racecourse, Dickward Drive, FANNIE BAY NT 0820. Live chat: Available from 9am to 2.30am (AEST) 7 days. Is Unibet Australia A Bookmaker You Can Trust? Another key element at the forefront of punters’ minds is whether a prospective new bookie can be trusted. Well, Unibet Australia is part of a Nordic Stock Exchange listed entity in Kindred Group and it has been a market leader in Europe for years. They may only have emerged in Australia in 2015, but they have been around for over two decades. It is highly unlikely that they will disappear with your hard earned money, and they have a variation of security measures to keep your sensitive personal information safe. All personal details are encrypted by a 128-bit SSL (Secure Sockets Layer). Unibet does not give, sell, rent, share, or trade any personal information to third parties unless required by law. All Unibet employees are subject to confidentiality agreements. Credit cards may need to be verified as an added security measure. When it comes to promoting responsible gambling, Unibet Australia are streets ahead of the rest. In 2016 it picked up two awards for being the industry’s most ‘Socially Responsible Operator’. They want their customers to enjoy their gambling experience, and they have lots of tools available to ensure that you don’t lose more than you can afford. We list some of them below. Self-Assessment tool so you can see exactly how much you are losing or winning. Pre-Commitment: Set daily, weekly or monthly deposit limits on your account. Self-Exclusion: If you think you need to take a break from gambling you can self exclude for 4 weeks, 6 weeks or 12 weeks. Links to software that will block gambling sites on your browser. Contact details for gambling support services. Unibet Australia has made a big impression since entering the Aussie market. It has quickly become one of the nation’s biggest online bookies, and it is easy to see why. Overall, we think you should seriously consider making Unibet Australia your number one choice. Yes, there are one or two negatives, including limited banking options. Cash out is only available on a limited number of sports too. However, there are a lot more positives for Unibet Australia. These include a huge amount of stats and info at punters’ fingertips with the Unibet Australia Blog and Expert Edge. You can Bet and Watch with Unibet’s streaming service and their odds are among the most generous available across the industry. They also take the promotion of responsible gambling very seriously which is always a big plus in our book. If you are thinking about opening an account with Unibet Australia, they come highly recommended by us. Customer Support - What is the best Unibet Contact? How Can I Deposit at Unibet Australia? You have three instant options to deposit at Unibet Australia – debit/credit cards, Poli, and our favorite, PayPal. For non-instant deposits, there's always the bank Transfer Option. PayPal is a great option as it's fast, safe and secure and when it comes to withdrawing funds, you know they'll be with you quickly.